Sicyonis heliodiscus is a large deep-water species which has unusual exterior with short column hidden in live under the wide oral disk and short marginal tentacles directed downward. It is a rare species, having been collected once and observed on only four other occasions during more than 25 years of research by the Monterey Bay Aquarium Research Institute. 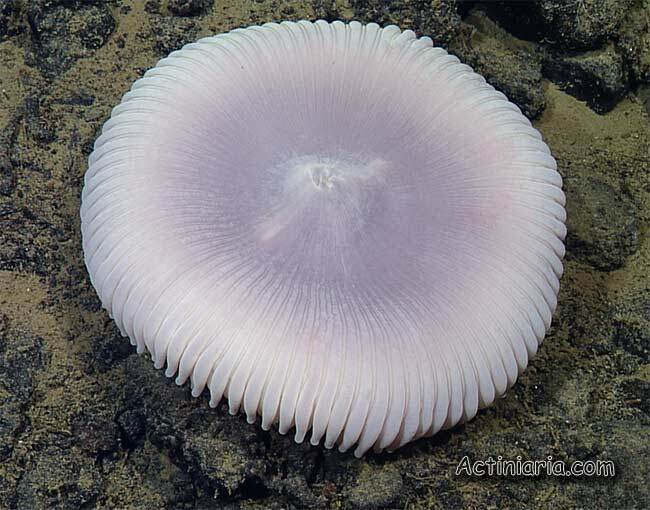 This species was observed at five Pacific Ocean locations including the Northwest Hawaiian Islands, the Gulf of California, off northern California, and the Taney Seamounts. 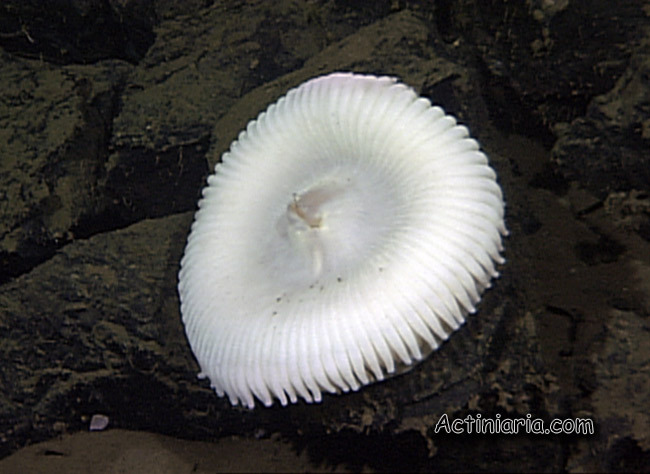 One specimen was collected at Taney Seamount C - it was sent to us, and after throughout examination we published a paper describing it as a new species, see link below. The specimen was firmly attached to manganese encrusted basaltic lava and breccia, the column was not buried and has no foreign particles attached to it. Sicyonis heliodiscus is known in deep water from 2465 to 3762 m where oxygen and temperature (avg. 1.73C) are low.